Thank you for choosing to fundraise for The Royal Hospital for Women Foundation (RHWF). We are delighted to have your support. Donations and sponsorships help us provide the best of care for women and babies in NSW and beyond. When you register your event/project and accept the terms and conditions below, we will issue you with an Authority to Fundraise on behalf of the RHWF. This step is important to ensure compliance with Australian charitable tax laws. The Authority to fundraise will expire one month following your event. You will then be authorised to organise a fundraising activity on behalf of the RHWF and communicate to the public that proceeds from your activity will be donated to us. Gain prior approval and sign off for any correspondence, advertising, publicity or material for the event, copy or design that mentions The Royal Hospital for Women, Randwick or Royal Hospital for Women Foundation, or any variations of these before progressing to print, broadcast, or production. Failure to gain prior approval may result in the Authority to Fundraise being withdrawn. Not use the name or logo of the RHWF in a way which could damage our reputation. Send all raised funds to the RHWF within 30 days of the closure of your project so we can start putting them to good use. Funds may be paid in the form of a cheque or cash, or EFT deposit. Payments to be accompanied by all the relevant paperwork relating to your fundraising (e.g. details of your event expenditure if any). Make cheques payable to the Royal Hospital for Women Foundation and send to us at Locked Bag 2000, Randwick NSW 2031. If you would like to direct debit the funds, please contact us, contactus@royalwomen.org.au and we will arrange a unique reference number for your lodgement. Not use any funds from auctions, raffles or donations to offset the costs of the event. You may use funds from ticket sales and sponsorship agreements only to cover operational costs. Any donations collected on behalf of The Royal Hospital for Women Foundation over $2 are tax deductible and receipts will be issued to each donor. Auction items, commercial sponsorship, sponsorship, tickets to events, raffle tickets or any instances where the donor receives something in return are NOT tax deductible and a tax receipt will not be issued. Where receipts are required, a record of the donors name, amount and email address must be provided. The RHWF will not pay invoices relating to expenses resulting from your activity, but our team is able to provide some advice as to the management of such expenses. 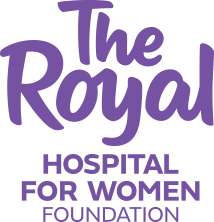 Provide full details of your event to the Royal Hospital for Women Foundation. Once we are satisfied that your risk assessment is compliant with our standard risk policy your activity is may be covered under our public liability insurance. On request we will provide a copy of the relevant clause of our Insurance Policy to the event organiser.